According to most estimates, Gmail is the largest webmail provider 6 Reasons Why You Should Stop Using Desktop Email Clients in Favour of Web-Based Options 6 Reasons Why You Should Stop Using Desktop Email Clients in Favour of Web-Based Options I know that suggesting desktop clients have had their day around the MakeUseOf crowd is like preaching to the choir. 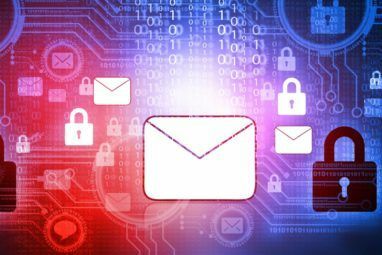 Most of us use Gmail, our own mail servers or some form of cloud backup... Read More in the world—which means there are a lot of ways to access it from your iPhone. But which are the best? Which take full advantage of Gmail’s features? Which give you the purest Gmail experience from your phone? We looked at a wide variety of today’s popular iOS email apps Are You Using the Best iPhone Email Client? Are You Using the Best iPhone Email Client? The number of iPhone email clients has exploded over the last year, ever since Apple's "no two apps that do the same thing" rule appears to have been retired in favour of common sense. Apple's... Read More to find out. Because of the wide variety of options available, we had a hard time deciding on the number of apps to include. A number of high-quality mail apps didn’t make the cut simply because they didn’t offer great support for Gmail labels. 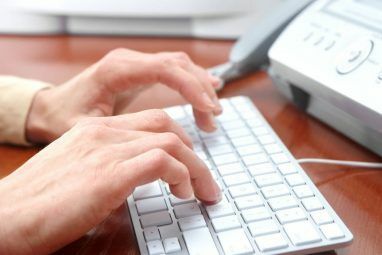 Among them were MailDeck, Molto, Acompli, Cannonball, MyMail Mail.Ru Launches My.Com In US With myMail, myChat and myGames Mail.Ru Launches My.Com In US With myMail, myChat and myGames Russian internet giant Mail.Ru has launched US services under the My.com brand, with a suite of mobile-based app offerings—myMail for email, myChat for instant messaging and myGames for mobile gaming. Read More , and Inky. A few apps just weren’t full featured enough, like Triage and EmptyInbox [No Longer Available] — which were made for digging yourself out of massive email backlogs 3 Easy Ways To Stop Email Overload From Hitting Your Inbox 3 Easy Ways To Stop Email Overload From Hitting Your Inbox Email has quite a reputation as a productivity killer. Managing email well can help you keep your inbox clean, but wouldn’t it be great if you got less of it to begin with? Read More . Of course, you can use the iOS Mail app with Gmail if you like. It’s a lot like using Mail.app on a Mac — you can copy emails to folders to simulate labelling them, and you can flag messages instead of starring them. There’s really nothing wrong with this approach; it just doesn’t let you use the Gmail features we know and love to the greatest extent. That being said, a number of these apps 8 Worthy Alternatives To The iPad’s Native Mail App 8 Worthy Alternatives To The iPad’s Native Mail App The iPad’s native Mail app isn’t for everyone, so here are some alternatives that you may prefer. Read More are great if you don’t want to use the multiple labeling capability of Gmail. I was very impressed with MailDeck, and Molto has a very slick interface. Acompli is also quite popular. But enough of that—here are the apps I decided to take a detailed look into. If you use Gmail with iOS, you’ve probably tried the Gmail app. It’s the go-to app for a lot of people. It offers everything that I was looking for: full support for labels, the ability to work with multiple Gmail accounts, importance, and stars. The interface is intuitive for anyone who’s used Gmail before. There’s no doubt that Gmail is one of the top contenders for Gmail apps on the iPhone. But do any of the others give it a run for its money? We’ve profiled the Inbox app Google Inbox Review: A Breath Of Fresh Air Google Inbox Review: A Breath Of Fresh Air Gmail is a household name in the email department, but Google wasn't content with it. Meet Google Inbox, a new way of approaching email. Read More before, and it’s gaining a lot of traction among the productivity-focused crowd. Because it’s made by Google, it includes just about everything you could want from an email app to work with your Google account. It can take a while to get used to, though. One of the most useful features of Inbox is bundling: it groups together similar emails for you to deal with at the same time. Emails related to travel, purchases, finance, social, updates, forums, and promos are automatically bundled, which helps keep your inbox looking a lot cleaner. Both the bundles and single emails can be swiped to archive them or snooze them so they show up in your inbox later. There’s a “pinned” section that lets you pin specific emails to the top of your inbox so you can access them quickly, no matter how long ago you received them—if you’ve ever used the Gmail organization style that puts all of your starred emails at the top, you’ll be familiar with this concept (pinning items in Inbox actually adds stars to them in Gmail). Interestingly, label support is good, but not great. You can only apply one label to a message, and you can’t apply labels in the inbox. To apply a label to a message, you have to mark it “done” and archive it, making it very much like working with folders. If you’re a label fanatic like me, this feels like a strange oversight on Google’s part. Messages in the inbox can be labelled, but only if they’ve already been labelled by a filter or via the Gmail interface. Though the idea of inbox-as-task-list is getting popular now, Mailbox was one of the first apps to popularize it. 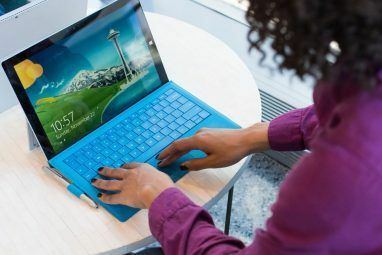 One of the features you’ll notice right away that sets it apart from traditional inboxes is that you can reorganize the email in your inbox by long-tapping — you don’t have to be limited to chronological arrangement. Mailbox is very gesture-driven: swiping right archives a message, and swiping further right deletes it. Swiping left “snoozes” the message, letting you choose when it will reappear in your inbox. And a longer left swipe sends it to a list. Mailbox comes pre-loaded with “To Read,” “To Watch,” and “To Buy” lists, but you can make your own, too. The app itself has a great interface, and works very well with Gmail. It doesn’t, however, offer label support (though there’s an okay workaround), and only offers limited star support, which means if you want to use it, you’ll need to use it the way Dropbox meant for it to be used. Though it might cause a few issues for diehard Gmail users, the switch might be worth it. A popular option, Boxer also places an emphasis on gesture-based interactions with email. Swiping to the left archives an email, and swiping further left deletes it. Swiping to the right opens the actions panel, which allows you to apply labels, send canned responses, add the message to a to-do list, send it to Evernote, and a few other things. A big count against Boxer, however, is the current issue that it doesn’t pull your email labels from Gmail. It lists them all as folders, and has the correct emails in them, but labels won’t show up in your inbox until you’ve gone into a label view and refreshed it. If you have dozens of hundreds of labels, this could take hours. Once the labels are fixed, it’ll be a nice app — the interface is simple and easy to navigate, it’s very responsive, and the option of paying for the pro version to get extra features will attract a number of users. Like the desktop client, Sparrow for iOS is a great app that provides all of the best Gmail functionality like stars, labels, multi-labelling capabilities, and multiple accounts. However, because it’s longer in development, it only receives an honorable mention: while it still works with iOS, there’s no telling when an iOS update will break it and render it obsolete. Until that happens, though, Sparrow remains a great option. 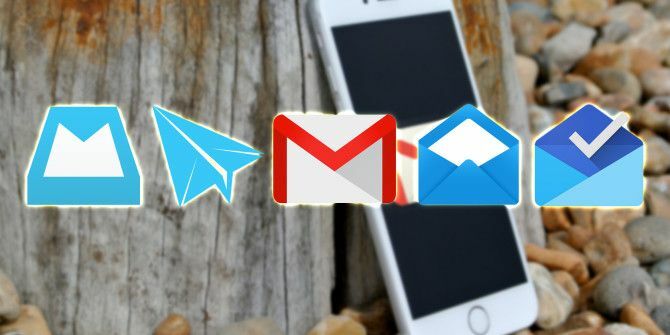 Which Gmail App Reigns Supreme? Gmail is a great way to manage your email, and there’s no reason to not bring the functionality to your phone. I tested a lot of apps, and, taking everything into account, here’s what I’ve concluded. 1. For most people, the Gmail app will be the best way to manage Gmail accounts on the iPhone or iPad. It provides everything you need, and none of the other apps have features that are so amazingly awesome that they make it worth sacrificing labeling flexibility. Plus it’s free. 2. If you’re not bothered about using labels in any specific way, Inbox is fantastic. The interface is phenomenal, and the way it encourages you to manage your email account makes it easy to be very productive from your phone. 3. If you’re not worried about labels at all, MailDeck is a great way to go. It’s brightly colored and fun to work with, has useful tabs across the top of the app, and is very secure. If it worked better with labels, it would be the hands-down winner. Share your thoughts — and your best tips for managing Gmail from your iPhone — below! Which app do you use for Gmail on your iPhone? I'm not familiar with those, but this article was written almost two years ago, so it's very possible that they came out after it was published. What do you like about those options? Which one do you use yourself? Both of them are super good. I'm hooked on Inbox right now, but if I wasn't, I'd definitely be interested in Spark; having good search capabilities is really important, especially on mobile! What about blocking people, adds and any other BS email? While I haven't had to do much of this myself, I think the best way to do that is probably through the Gmail web interface. Not many of the iPhone apps advertise that sort of functionality, so that's your best bet. Great list, Dann. Which app is your favourite? That's a good question. I think Inbox is my favorite, but I'm still having trouble with the idea of not being able to quickly apply labels in my inbox. I use them on a regular basis to find emails from specific clients, though I guess I don't do that on my phone as often as I do on my laptop. I'm still using Gmail right now, but I haven't deleted Inbox yet. If I decide that I can work with email in the way that Google wants me to, I'll probably use it! What are you using for your email app? I just found my GMail app on Android (current update form 12/15/2014) attched the last conversation I had with my *attorney* to the e-mail I sent to my *mother* by hitting reply (Instead of her history). Needless to say this is a major disaster. I guess it's a glitch in the Synch, but it IS A PRETTY BAD THING FOR MY LIFE AT THE MOMENT. To top the insult, if I want to report it and review the app, I need to sign up for Google+. I think I had enough of my privacy exposed. I used to like GMail, that is changing now. Very quickly. Thank you for the alternatives. Ooph . . . I can imagine that being an embarrassing situation. I hope you find a way to remedy the mistake! Using one of these apps might help you out. CloudMagic is my favorite because I get Gmail and other email services rolled into one. Super easy to use, beautiful interface. I started to test out CloudMagic, but I didn't feel like it had enough of the features of Gmail to really fit into the "proper Gmail" category. It did seem like a nice app, though! And it does have a nice interface—I can see why you like it. Thanks for reading! But what about push notifications? AFAIK, it's only available to google's own apps. I'd love to centralize everything in iOS default mail app, but that was a deal breaker. Now I'm using inbox (and I don't really miss labels). Once I started using Bluemail I never looked back. Tried the rest, stuck with the best. I've never heard of Bluemail . . . what do you like about it? What makes it stand out from the other options?